Double your power with this all-inclusive set! 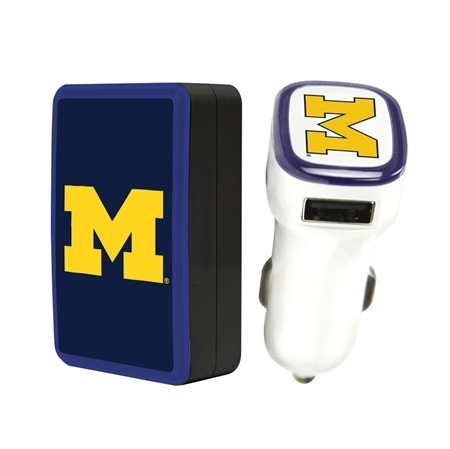 Get the Michigan Wolverines WP-200X classic dual port wall charger plus a 2-port USB car charger bundle, all for one low price. It’s a great value you can’t afford to miss. 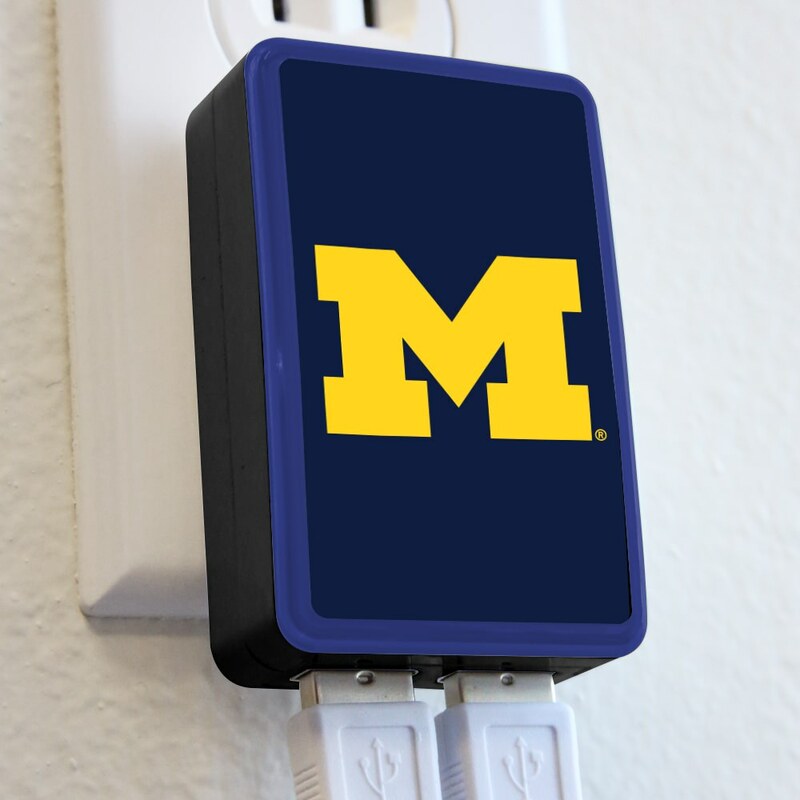 The wall charger has two USB ports, foldable prongs, and a light up LED ring. It is compatible with most smartphones, tablets, video games, cameras, and more. Output is 5V and 2.4A and is FCC certified and UL listed. 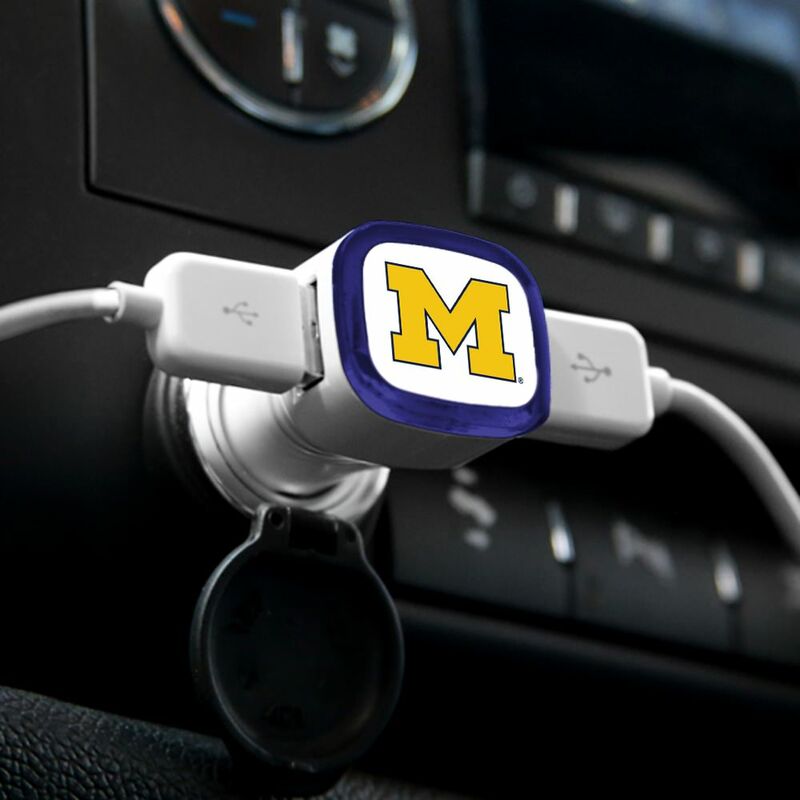 The car charger offers additional charging potential with its dual USB ports and durable ABS plastic body. 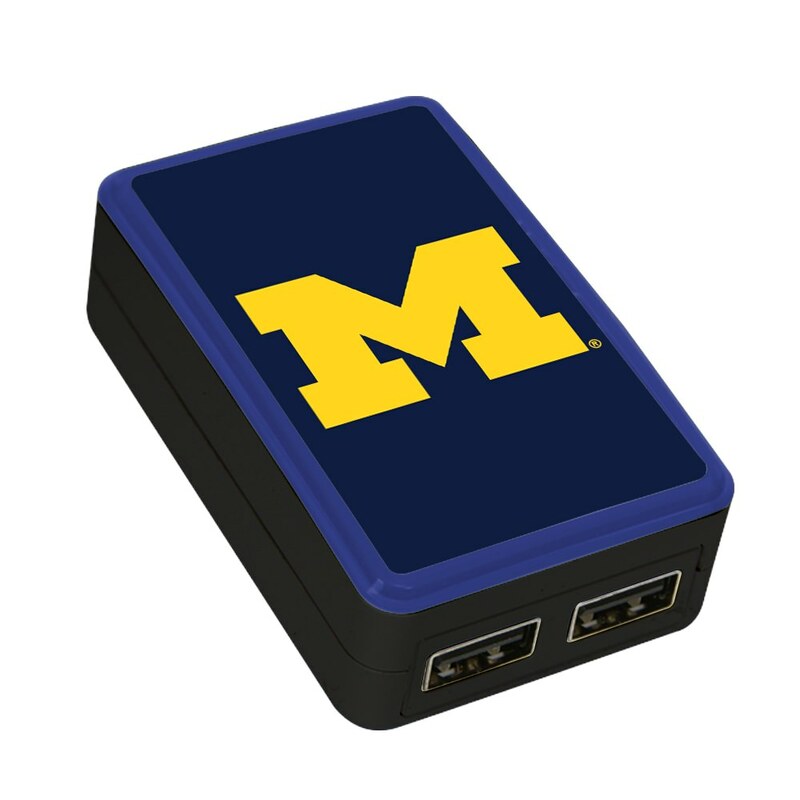 It is compatible with most USB charging cables!